People are more aware today than ever that time is the world’s most valuable commodity. What this means is that attention is the new economy. So just how do you create engaging content that captures attention? This week, in downtown Tokyo, I interviewed someone who has definitely cracked the content code. Meet Oliver Isaacs, serial entrepreneur, viral growth hacker and mentor at the worldwide entrepreneur network Techstars. Oliver, Forbes 30 under 30 nominee, founded the viral opinion based social network Amirite.com whilst studying at the highly exclusive London School of Economics. Many know Amirite as one of the first original 9gag and 4chan type sites where the internet meme was born, internet slang became common-place and the earlier influencers created. The site set the tone for follow up sites and was said to be the inspiration for sites like Quora. Amirite has already attracted over 1 billion visitors since its lifetime – a formidable achievement. Oliver’s own following on Twitter, Instagram and Snapchat (oliverzok) has reached in excess of 200,000 followers, and he has been featured, giving business advice and motivational thoughts in the Instagram and Snapchat Stories of high profile people such as Tony Robbins, Kevin Hart and Mark Cuban. "It ultimately comes down to finding something that blogs will write about and Facebook pages will share," Oliver says on his strategy for going viral. "I think most people will say virality is something people share amongst themselves, but if you don’t have a website or a publisher or Facebook page showing your stuff, it’s much harder to go viral." 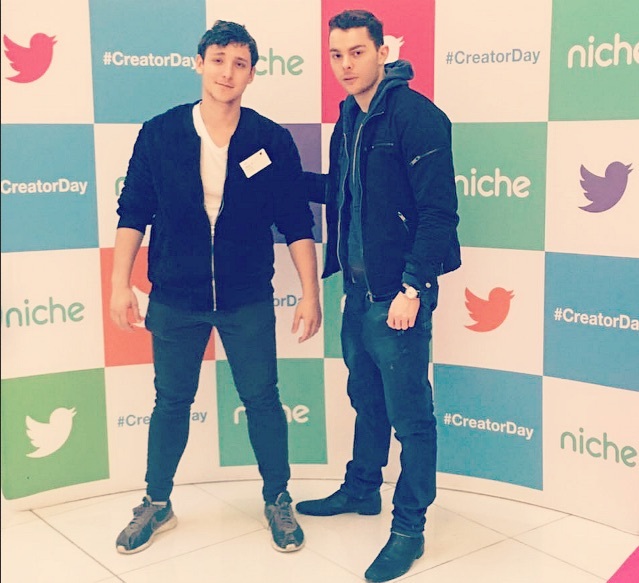 Having watched numerous videos and links go viral on site, Oliver embraced the social media influencer craze and has since worked with and helped grow some of the biggest social media influencers on the planet such as Julius Dein, who now has a viewership in excess of 1 billion video views and has grown from 0 followers to 10 million in less than a year. Oliver has most recently been working with some of the biggest LA-based influencers around and secured large brand partnerships for them, such as with Sony, Ubisoft and Kellogs. Oliver’s ideas always come from what’s trending or what people are already talking about — "It’s always easier to continue a conversation than to start a new one," Oliver explains — and craftily hide brand-promoting motives. "Based on what I’ve seen , you don’t need a huge budget to ensure something goes viral. Any type of content can go viral if it can evoke emotions or strong reactions– whether laughter, sadness, or shock. Comedy content, such as short compilations of different pranks, and magic do well on Facebook. Music videos from unknown talent can do well on Youtube, and a swimsuit model posing in the Galapagos Islands surrounded by Penguins does well on Instagram. One shouldn’t forget unexpected news snippets. Robert Kelly’s BBC interview went viral after his children waltzed into the room and his wife frantically herded them out. No-one planned or staged this video. That’s why it did so well”. Get Into The Action Right Away. The average attention span today is 8 seconds, which means you’ve got no time to spare in capturing your audience. Avoid a lengthy introduction and show, don’t tell. “Jump into the action in less than a second,” Oliver says. “No ‘hey guys I’m going to do this.’” Once you’ve caught your viewer’s attention, keep them on their toes. Share And Promote. Oliver says the easiest platform for sharing content and generating awareness of your brand on a grand scale is Facebook. Oliver’s strategy for visibility on Facebook is simple: after you post content, reach out to popular Facebook pages and groups that share related content. Send them a simple message, like, “Hey, can you share my video? It’s a really great meme or video I think your audience will love.” A shortcut to find pages is to click on the profiles of people who are sharing your videos, see what other videos they’ve liked and shared, and go to the pages those videos come from. "A lot of people just assume that they can put out content and hope it goes viral," Oliver says. "But we have to find that little hook to make someone want to share it on their personal timeline." As a tech writer, I ask Oliver what he thinks are the primary qualities needed for someone to run a successful online business. He replied: “Hardwork, and determination are key- I think these two are the most important traits one can have. You can have the genius of Elon Musk, but if you’re not prepared to put the long hours in, you’re not going to reach your full potential. Staying optimistic when the going gets tough is another skill needed. It’s important to train your mind to stay optimistic as much as possible. Unexpected problems are bound to happen but you should pause and look at the bigger picture and ask yourself: Is this problem going to matter in 5 years time? Having a strong and reliable network is also vital – I think it’s important to leverage your personal network while always staying humble and asking people for advice. The next time you see a cool viral video or meme, take a closer look — it might have Oliver Isaacs’ signature written all over it. Nice article - always wondered about the process of those viral vids on FB and Instagram -now I know!